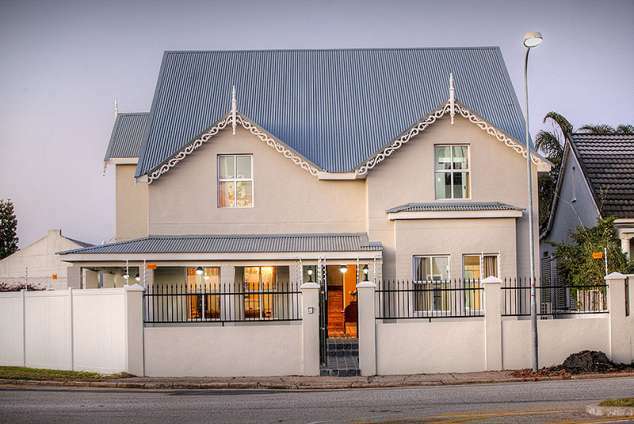 23 On Glen Guest House - Richmond Hill Accommodation. Staying true to the era, our spacious grounds and generous room sizes are politely complimented by steep multifaceted roofing, which in authentic Victorian Fashion are elegantly decorated with elaborate wooden trimmings. Whilst being externally attractive the interior is just as finely furnished. The colour pallet of the walls emanate affection in the evening sun. Rays of light highlight soft hues of golden brown and striking yellows reflected off the original wooden floors. This brings to life a feeling of warmth like no other, giving rise to a wave of nostalgia, charming the senses and seducing the individual. We are further fortunate be situated directly opposite the Richmond Hill park, the pacifying field makes it easy to relax and slip into a subtle state of rejuvenation. Besides the visual delight and superb comfort we are appropriately equipped with all modern day luxuries. Our staff are friendly and professional, who will make every effort to see that your personal needs are not only met but exceeded. We offer a variety of delicious breakfasts which include freshly made juices, breads and smoothies, meeting the growing interest and necessity, for more natural healthy foods, contributing to increased vitality and improved lifestyle. Being just under 7kms from the airport and central to almost everything, getting to and from wherever you need to go is quick and effortless. We are also within walking distance of the popular Stanley Street. This is a central business hub and night life entertainment area. Located here are some of the top restaurants Port Elizabeth has on offer. It is also host to the Richmond Hill music festival which takes place in June every year. This truly ignites the suburb as well as the entire city. Our generous room sizes are politely complimented by steep multifaceted roofing, which in authentic Victorian Fashion, are elegantly decorated. Each double room is en suite (shower only), furnished with a queen size bed and percale linen. There is free WiFi, DSTV, a fridge and tea and coffee in each room. The family rooms are large and spacious with en-suite bathrooms (bath with shower over the bath). Furnished with a queen size bed and 2 single beds with percale linen. There is free WiFi, DSTV, a fridge and tea and coffee in each room. 353 page views since 31 Jul, 2018.